But for now, were going to look at the big box that was given to me by the nice Mr. Postman. Firstly we have the a4 hardback artbook which, as you can see, covers the whole trilogy. The book itself is separated into three sections, one for each game, and contains box art, area art, monsters and characters for each game. It lacks a lot of the text that the previous individual art book releases have had that explain why things were done the way they were, but as a collection of good artwork from the three games it’s still a very nice piece. Next up we have a beautiful cloth map with the world of Lothric printed on it in a vintage style. The edges of it are weathered, and it feels like it could have been ripped out of the game world. It’s not as useful as he maps other games come with that have a more practical map, but in a game like this I think it’s a nice thing to have. 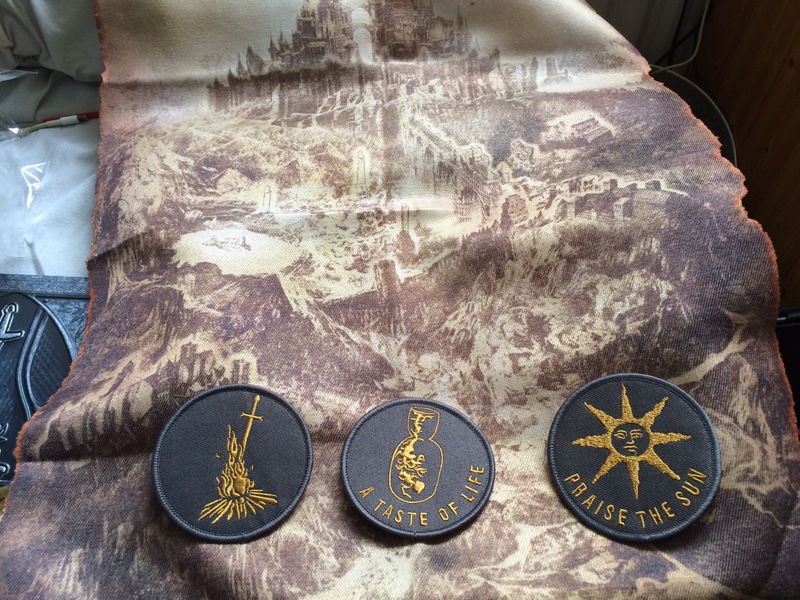 The patches are a bit lower on the scale, featuring a bonfire, an estus flask, and the glorious sunbro meme (if only I could be so grossly incandescent). They’re high quality, but I don’t see as much of a use of them as I do the map. Still though it’s a nice addition. Here we have the case that contains the game disks as well as the soundtrack. 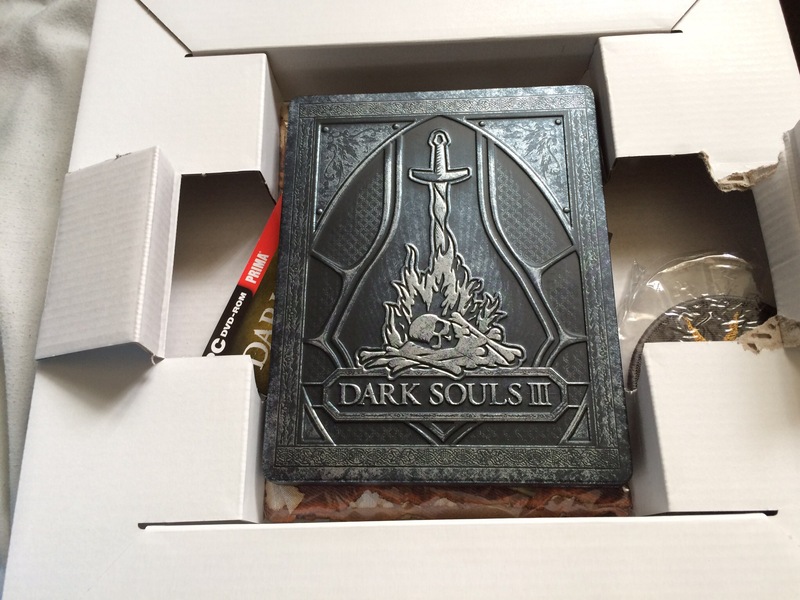 The case is beautifully embossed, showing the bonfire of the firelink shrine, as well as the inevitable bones that you will be leaving behind. I know it’s only a case, but it’s very beautifully made. Taking up the majority of the box space is the statue of the red knight. Made from poly stone, the detail in it is amazing. All of the grooves in the plate work are there as well as the chainmail, the cloth is sculpted as if in motion, and it all comes together to make a stunning piece that I would say even beats the knight statue that came with Dark Souls 2. 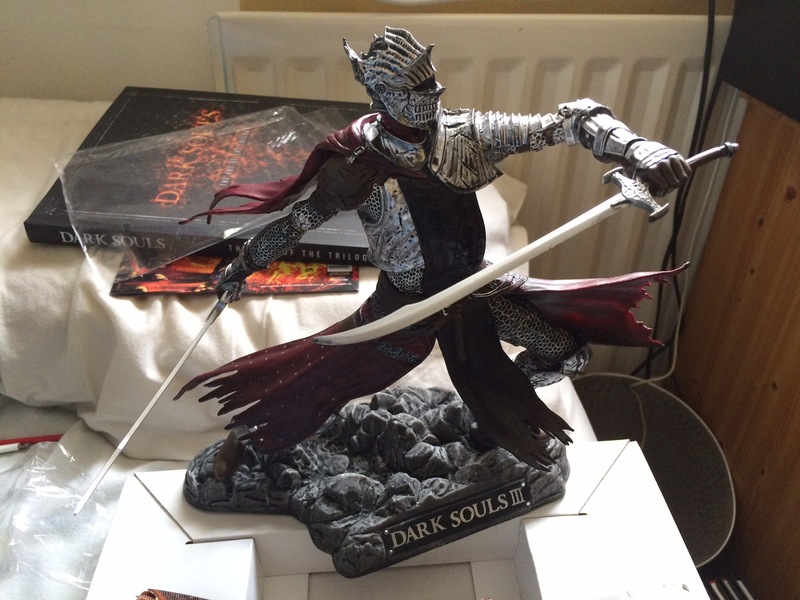 There is a version of the game that also comes with a larger statue of one of the lords of cinder, but I was sadly unable to get one of these before they were sold out. 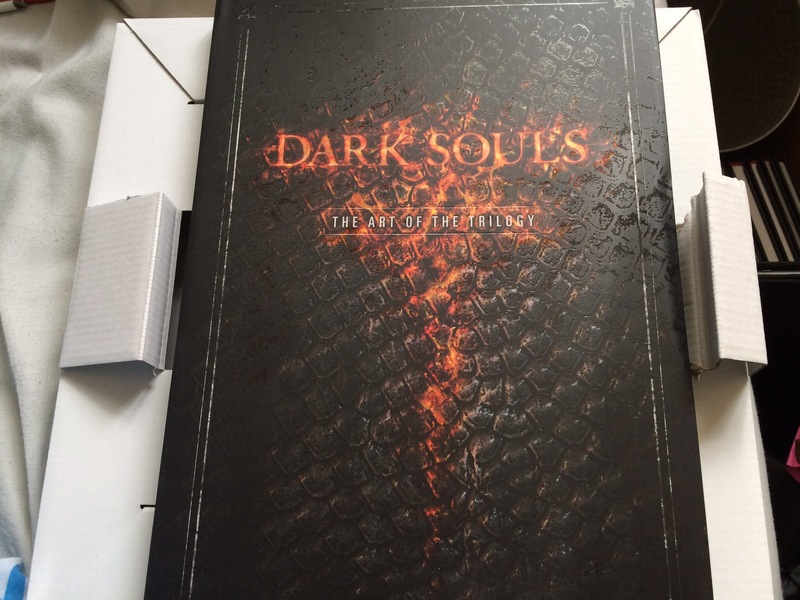 As a bonus, I also received issue one of the dark souls comic in the box from ShopTo. 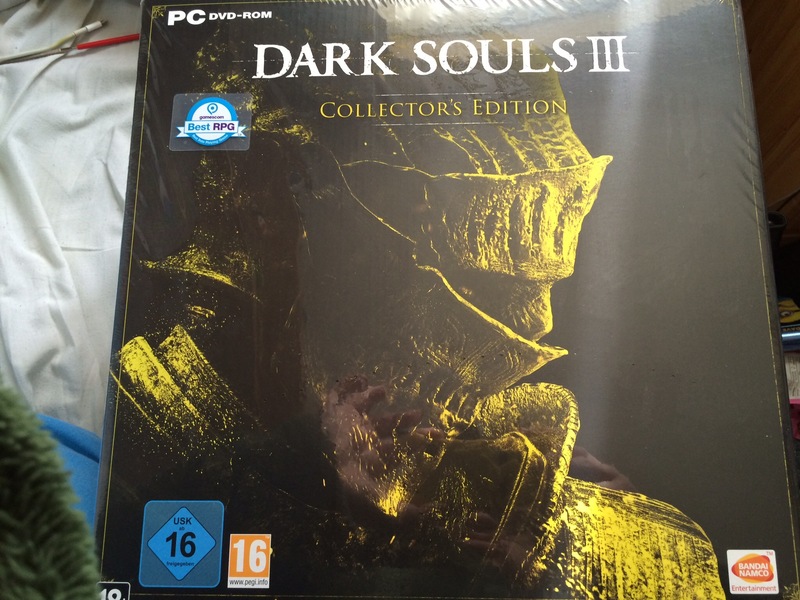 It’s not part of the collectors edition, but I got it so I thought I’d include it here. All in all, I love this collection. 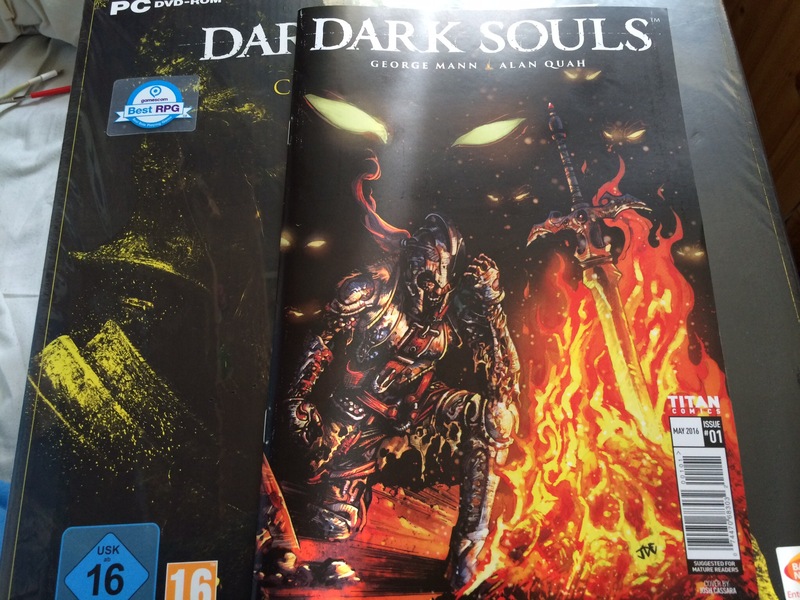 It contains a lot of nice little items that any fan of dark souls will love. This entry was posted in Video Games by dakanagarretson. Bookmark the permalink.